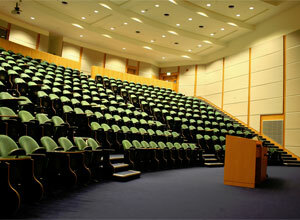 The seats are empty, but class is in session with MIT's OpenCourseWare. The Massachusetts Institute of Technology (MIT) recently announced an initiative to create a learning platform for online education. Preliminarily dubbed “MITx”, the initiative aims to take the MIT’s OpenCourseWare program, which provides nearly all MIT courses for free on the web, and build out an infrastructure that can be used by students to demonstrate mastery of a course and earn a certificate of completion, for a small fee. Furthermore, the platform will be open-source, allowing any educational institution to host their own courses. And while the certificates will not be equivalent to MIT course credits, it’s clear that they have to be earned through an assessment. A prototype is scheduled to go into beta during the spring semester with plans to launch the platform if all goes well. On its surface, this may seem like a way for MIT to make their free online course program profitable, but the heart of this initiative is an effort to change education forever as the educational system is at the breaking point. In a nutshell, the United States has a higher education problem. 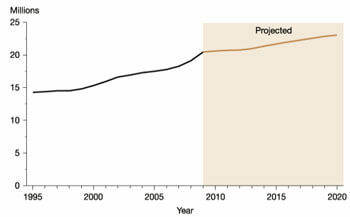 It's clear from the projections that demand for higher education will continue to rise. But hold on a second. Skyrocketing educational costs are becoming prohibitive for younger Americans who want to attend college. This is a problem even for older Americans who are trying to return to school to acquire new skills for the shifting global economy. Unfortunately for young and old alike, tuition has increased even faster than a handful of other consumer price indices, even healthcare. As government funding has been cut to some schools and others struggle with donations and endowments, institutions are desperate for tuition dollars to cover their expenses, so they are left with little choice but to raise tuition rates (a trend called out by President Obama in his State of the Union address). As the country slowly pulls itself out of a recession and looks to the future for financial stability, it is a crucial time for something big to happen in the educational world. 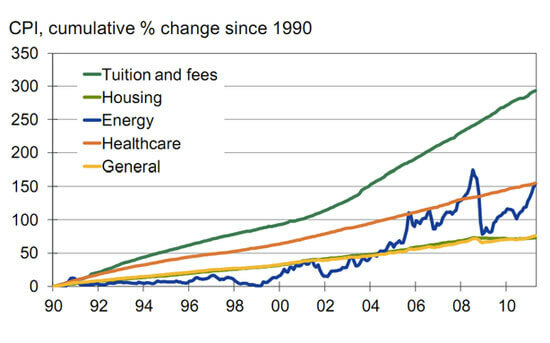 For consumers, the rise of tuition has been worse than any other expenditure. Enter MIT in all its innovative glory. Now MIT has been at the helm of offering free courses on the Internet for 10 years. It’s OpenCourseWare program has set a benchmark and many other colleges including Standford have followed suit, including many top tiered schools. Online course aggregators, like iTunes U and Academic Earth, are helping to raise awareness as well as building up what will inevitably become a full course catalog of any major subject taught at a four-year university institution. Non-academic organizations like the Khan Academy are also offering educational resources for free, creating an enormous online video library that can serve as a virtual tutor. However, all of these free resources are branded by academic institutions as being merely ‘supplemental’ for lacking the rigor to help students truly achieve mastery of a subject. Clearly, taking one of these online courses is really an exercise in self learning, so academic institutions are correct in identifying that true teacher-student interactions are lacking. But, as anyone who has attended a major university can attest, it can be enormously difficult for a student to have significant one-on-one time with a professor, especially in the first few years of a program, if the opportunity is even provided. In light of the economics of education, this argument is seriously falling apart and it’s only a matter of time before this snubbing will be empty. Something has to give and the leaders at MIT are smart enough to see it on the horizon. The truth is that the educational process, in many ways, is about becoming a self learner, something that has contributed to the rise of homeschooling as well. A self learner is a lifelong learner who must be versatile, resourceful, disciplined, motivated, and adaptable. Now, considering how globalization is transforming the job market, these kinds of skills are becoming increasingly desired as it is likely that no one will be able to have the same job for their entire life. Companies need these kinds of workers, even if the current employment paradigm only considers those with degrees. Now, in case you think that MIT or other top universities have something to lose by giving away their education, ask yourself this: are they really jeopardizing what their in-seat experience offers or what a degree with their name on it is worth in the current marketplace? Not at all, and that’s not likely to change either regardless of how education evolves. And it’s only a matter of time before employers realize that they can hire people who have a similar knowledge base and skill set as someone with a degree from a top-tier university, but don’t have to pay them as much. In a job market rapidly changing and everyone looking to cut costs, how much longer can a lockout against non-degreed workers continue? This new initiative from MIT sends a clear message: education is changing. It’s becoming free, open and accessible, and it’s only a matter of time before the some kind of course mastery certificate becomes the equivalent of college credits or even a Bachelor’s degree.